Congratulations on being announced (ie official). What percentage of completion for band 25 (1900) LTE would you say you have? 40%, 60%, 80% Curious if Milwaukee or Madison has band 41 TD-LTE usable by phones such as the G2? (no sites names or specific locations please) If so, is it public or hidden? I am just trying to see what may happen in Columbus in the future. Thanks!! All the details you desire are covered in the premier section. My bad on the typo. 5s is what has found it so far. My understanding is 5c is theoretically possible. Yes they are pushing the G2 for $0.00, although the same for the 5c and galaxy s4 mini (triband). Yeah, were hoping to get 800 LTE (band 26) like our iPhone 5 brethen. Found any yet? What band are you now on? First I assume you have lookout or something better installed on your phone for anti-virus, etc. I had a phone from motorola that sound like yours -- various rf problems, but difficult to prove. If you are the 14 day period, trade it in. Otherwise if you have phone insurance and a good sprint rep that you treat well, they will take care of you. Be certain to backup regularly, especially before this update. This update may either fix your issues or kill your phone [or just leave it the same]. Last time I think it took about 10 days to distribute to all G2 users. Great!! Now does it still work? (At least on my phone they removed the stated ability to turn off band 25 with the last update, but the prompt remained the same). Any emerging sites or sites hidden to a G2 in your area? Thanks for the notice. Did you notice that icons was plural. Does that mean a different for each band, or perhaps you get to choose the spark icon? Attention G2 Users!!! The spark update was released early this morning: http://support.sprint.com/support/article/Find_and_update_the_software_version_on_your_LG_G2/WServiceAdvisory_542_GKB55011?INTNAV=SU:DP:OV:UG:LgG2:FindAndUpdateTheSoftwareVersionOnYourLgG2 (credit: The Dave) It may take 10 days for you to get this update, which is randomly determined by Google. In a spark market you will get all three bands, which gives you high speed (band 41), better building penetration and distance (band 26), and traditional LTE (band 25). Columbus is not a spark market (yet.) Currently you will only see some 1900 LTE(band 25) sites in Columbus and more in most of the surrounding communities. We currently have 44 band 41 spark sites in Columbus, but special techniques are required to regularly see them (these techniques are currently being retested with latest release). On infrequent occasions band 41 sites will be visible to a spark enabled G2. If your phone says it is on band 50, that means it is idle (has no LTE). More detailed information is available to sponsors. 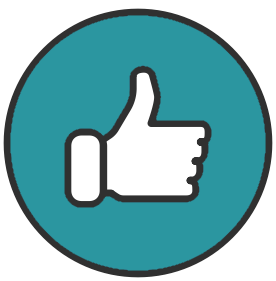 All information is available to premier members. This post will be edited as events change in Columbus for G2 phones as more LTE sitea are being added each week. Network signal changes in an emerging market are generally good news of new site abilities coming on line, such as 4G. None in my part of town and we have no new towers. I did notice on Sunday that a hidden band 25 LTE tower to the north had dramatically increased in strength covering almost all of lane avenue from star to 315, overpowering nearby band 41 LTE which was previously dominate. A check under a bridge showed the band 41 LTE was at the same strength, thus it was proven that the band 25 was stronger or reoriented. I think the various flavors of the G2 perform differently, yet many of these tests assume they are the same. On the other hand, stlman314 might be like a Prius owner who gets 80mpg ( the best of the best (Sir!) at squeezing the most out the battery, or it could be golden, or both). Thanks very much for this series of awesome questions and even better answers. Now I have a better grasp on what my G2 is reporting for 1x800 when it does not have a BSL. Maybe I soon can leave my Photon 4g's 1x800. Of course being mainly an LTE hunter, the bid notion makes sense to me -- but that might be my handicap in this case. Likely need a bit more hand holding for 1x800 reporting at some point. suggestion: implement the ability to show a note for a site (#7 on checksignal pro to do features request list), then accepted and confirmed band 41 and band 26 sites locations could be displayed for members. This would especially help tri-band phone users (other than Samsung with no GCI) and would buy you time to find the best method. for example for GCI 00F0D0 display "Band 41(2600) LTE - Highland Ave, Valley View, OH" The files could come from the spreadsheets in some fashion, perhaps obscured a bit as above. Like the fact that you are measuring each band. Interesting that band 41 fares so much better on the G2. Other reports have stated that the G2 is much better (tops) at bandwidth than the rf would indicate. I agree with ericdabbs on firmware, but think it will take several updates. The network is also changing. Maybe by summer we can get a better picture on RF and bandwidth per band with NV. I just hope that the upcoming G2 firmware update retains the IOT(CDG2) | LTE setting | UE usage | data centric mode (often call "LTE Only") and the ability to set band priorities. The ability to turn off band 25 LTE disappeared in the last firmware update. I really like the tri-band philosophy and enjoy band 41 performance and anxiously await band 26 (800) LTE. As each band 41 site comes up there is often a period of several hours to a day when it is publicly viewable. Any one who has band 41 turned on will see it if they are nearby for a long enough period. As they continue the setup process it becomes hidden unless you are in the G2s special mode, which is often described as "LTE Only". It seems that they continue to make antenna adjustments for several weeks after that. All this and much more is covered in the premier section. IMO the Network Vision project is extremely complicated, its too bad they previously did not have the money to take it in smaller steps that had less affect on the users. But without Network Vision, they would not remain in business much longer either. As a person who got a Photon 4G the morning they were released, I am well acquainted with Wimax. Columbus actually had one of the better Wimax networks compared to other metros where I used it. 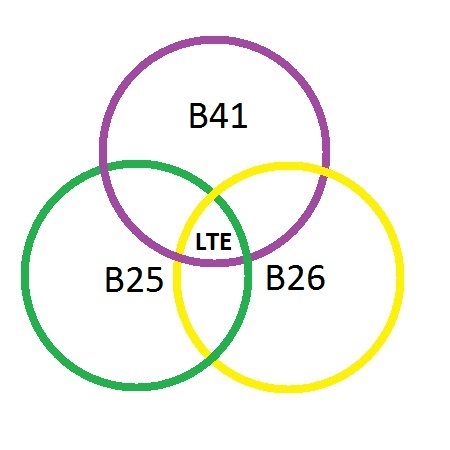 Office / stucco home building penetration is an issue, but that is where LTE on bands 25 and 26 comes in. I see band 26 LTE used in very rural areas for distance, and downtown for building penetration. Band 41 TD-LTE versus Wimax. No comparison. Speed 60Mbps+ versus 14Mbps (both unloaded), 16 versus 2 upload. The coverage at the 44 Band 41 TD-LTE sites in Columbus that I have been at is much different than Wimax and cover much more area. Generally good coverage to the edge. Great coverage extends out much further than Wimax. Possible negative: judgements are all based on winter with no leaves on the trees. The target user speed experience for Sprint is 12-15Mbps accross their network. Source: http://www.fiercewireless.com/story/sprints-bye-2014-year/2014-01-08. In my observations, many users can not detect anything past 5Mbps no matter who is the carrier. When ever the network is flakey for a few days in Columbus (in the last 2 months), I have then observed new sites coming on line. Then it seems to take a while for these sites to be tuned and come up to full strength. I did observe band 25 LTE coming on line in Canal Winchester on Tuesday for about 5 minutes, plus many band 41 TD-LTE sites (but that may be almost done for a month until the next band 41 phase.) I have also read that Sprint is trying to move band 25 3G users to 1x800 to free up more room for band 25 LTE. To stay or go?? 2 months ago I faced the same question. I believe Sprint with Softbank is viable. The darkest hours come right before the dawn. "Sprint Direct Connect Now" in the play store just likes Galaxy S4, Galaxy Note 3, G2, Optimus F3. The following are "coming soon": Galaxy S4 Mini, Galaxy Mega, Hydro Edge. "Free with many plans" otherwise $5 per month. Says it work on 4G LTE. "Direct Connect Now" appears to be different from "Direct Connect" used on the Admiral (3G), although the Sprint Store makes no distinction. I have downloaded the direct connect app within the last week, but then found it was not compatible with the direct connect on a Motorola Admiral smartphone.